So that Google and other search engines can find your website, we provide SEO (Search Engine Optimization) during development (or redevelopment) of your website. 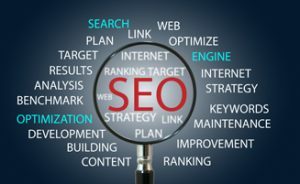 However, SEO is not a one-and-done proposition, as the web is always growing and changing, and so are the rules established by companies such as Google and Bing. So, while we’ll lay a great foundation for you, we strongly recommend that you consider ongoing SEO as part of your marketing strategy. For ideas about what that might cost, please get our prices. In this excellent video, an SEO expert explains SEO in a workshop for business owners. Unless you’re already well-versed in SEO, it’s worth a watch. In less than an hour, you can gain a good basic understanding of what SEO is, why you need it, and what you should expect for your money, no matter which web development company you use. Ready to get started? Get a free estimate.